He started studying dancing at the age of eight, with masters such as Maria Bueno and Manolo. He started dancing professionally at the age of sixteen, dancing with many different companies, including those of Maria Pages, Javier Baron, Fernando Romero, Aida Gomez and Antonio el Pipa. In 1999, he joined the Andalusia Dance Company, directed by Jose Antonio, where he performed in a large number of shows choreographed by Manolete, Javier Latorre, Eva Yerbabuena, Isabel Bayón, Alejandro Granados, Javier Barón and Jose Antonio himself. In 2001 he performed in the show Café Cantante by Manuela Carrasco. He also played a solo role for the Andalusia Dance Company, in Jose Antonio's choreography Malunó. Apart from dancing with the company, he also took part in several festivals with his own shows. In August 2004, El Sombrero de Tres Picos and Café de Chinitas, directed by Jose Antonio, were premiered, in commemoration of the 100 anniversary of the birth of Dali, for the Festivals of Castell de Pera lada, Santander and San Sebastian. Miguel Angel played the roles of the Miller and the Flamenco Dancer respectively, in a cast that included Jose Antonio, Chano Domínguez and Esperanza Fernández. In November 2004, he joined the Ballet Nacional de España as Principal Dancer. In 2008 he was prized with “XY: An instant in movement” both, the 1st prize as Best Choreography and the prize in Musical Composition of the “Flamenco and Spanish Dance Choreografy Competion). He has imparted several flamenco dancing workshops to members of the TEBNE at the Ballet Nacional de España, as well as master classes in different Conservatories (Granada, Malaga, Albacete..) and countries (Korea, Singapur,…). 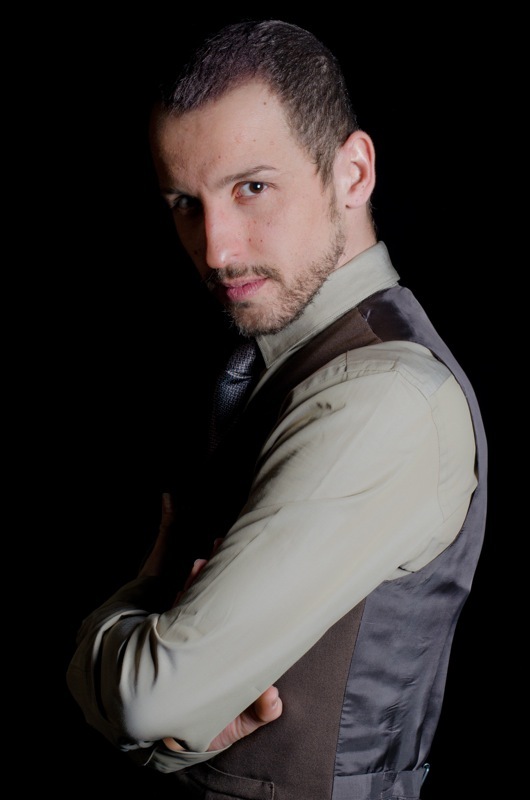 Since 2013, he has been teaching at the “Centro Andaluz de Danza” as guest master. In 2012, he choreographs the Spanish composer and pianist Manolo Carrasco’s show “Viva la Pepa” and in April along with Elena Algado, both have premiered their choreography “Tiempo de Sueños” at the XI Dance Open International Dance Festival Ballet Stars Gala. 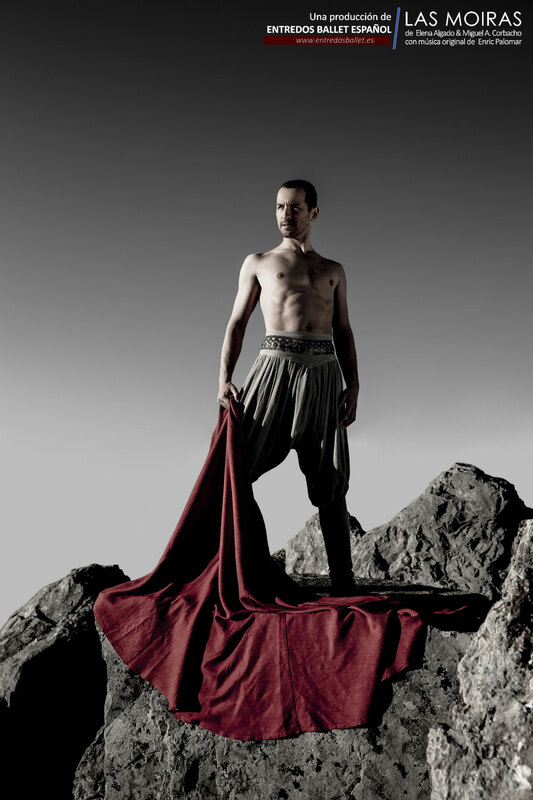 Since September 2012, he carries out together with Elena Algado the artistic direction of ENTREDOS BALLET ESPAÑOL and its first production choreography "Silencios Rotos". In april, 2013, once again is invited to create and premier a new choreography “AL-ALMA” along with Elena Algado and ENTREDOS BALLET ESPAÑOL. In april 2014 Elena Algado together with Miguel A Corbacho is invited to participate in the Gala of International Ballet Stars of the XIII Dance Open, and along with Miguel A Corbacho is asked to create and premier 3 new choreographys together with the worldwide known mezzo-soprano Elina Garanca and the famous russian liryc bass Ildar Abdrazamov at the Opera and Ballet Gala of the 311th foundation Anniversary of the city of Saint – Petersburg (Russia). Currently , together with Elena Algado continues presenting to the audience “LAS MOIRAS” and "SILENCIOS ROTOS" and preparing new projects for 2016.